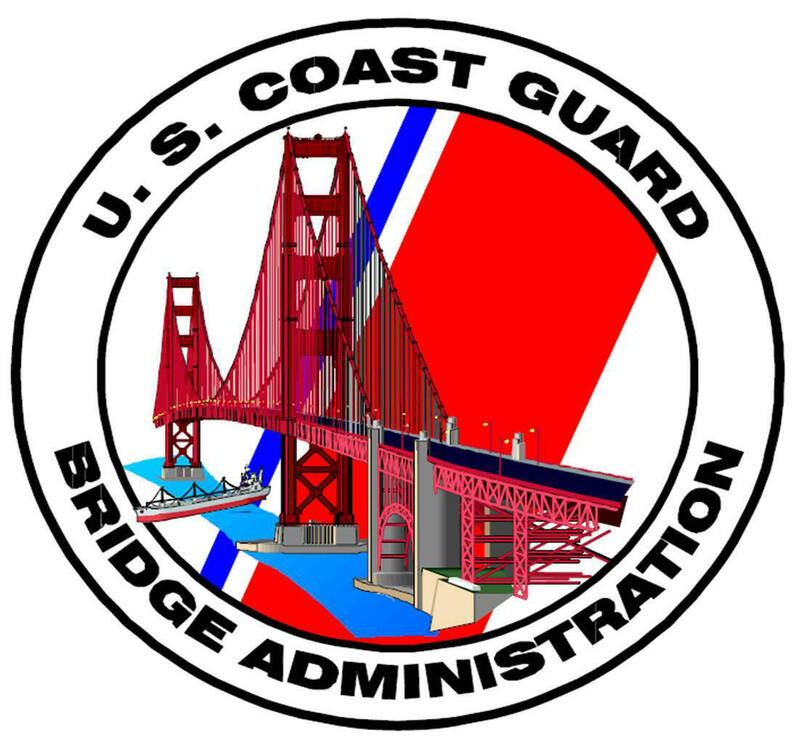 The U.S. Coast Guard Bridge Program (BP) encourages the checking of designated bridges over navigable waters for safety equipment and lighting discrepancies by any Auxiliarist at any time. Nothing restricts any member from reporting discrepancies to the Coast Guard. However, scheduled annual bridge surveys require an AV- Aids Verifier qualification. “Qualified Auxiliarists and their facilities are authorized assignment to duty to support and augment bridge surveys, investigate and provide information regarding waterways; safety and navigation situations pertaining to the bridge program, and provide direct assistance and support to the bridge program personnel. (Excerpted from Chapter 2, Section B4 of the Auxiliary Manual) A copy of the Bridge Program Memorandum of Understanding and Joint Action Plan of 29 February, 1996 is available in Appendix A of the Auxiliary Manual. The emphasis of the Bridge Checking Program is on prevention, accuracy, credibility, professionalism, and service to the Coast Guard, and is focused on building the Auxiliary’s competence in the eyes of Coast Guard. Guidelines are provided for taking on-scene observations of bridge lighting and fendering systems, signage, communication with the mariner and professional on-line report preparation. Bridge surveying activity requires the proper understanding of the Federal Regulations for lighting and safety equipment for bridges placed over navigable waters which is provided on the Navigation Systems Web Site. The following Bridge Checking tools are available to you . . .
NS-7055 - Bridge Reporting form. Only used to gather information on a new bridge, then submit to DSO-NS. Otherwise all bridge reports are done online. NS-BP01 BRIDGE PROGRAM HANDOUT – Use this handout to promote your Bridge Program with your membership. NS-BP02 BRIDGE PROGRAM TRAINING GUIDE – This guide describes the proper methods and procedures for surveying a bridge and reporting your activity to the Coast Guard and AUXDATA. NS-BP03 BRIDGE FIELD WORKSHEET – Use this worksheet for recording observations while on-scene at the bridge. This worksheet will help you do a complete survey and to not miss any important items when you perform an annual survey. Keep copies of this worksheet in your Navigation Kit. NS-BP04 COAST GUARD BRIDGE LIGHTING AND OTHER SIGNALS MANUAL - This Coast Guard manual will expand your knowledge about the various lighting configurations that are found on a bridge. NS-BP05 BRIDGE LIGHTING AND SAFETY EQUIPMENT TRAINING PRESENTATION - This PowerPoint presentation depicts the more common discrepancies that can occur with the safety equipment on a bridge. This is a great visual tool for training members. NS-BP06 – COAST GUARD BRIDGE ADMINISTRATION MANUAL M16590.5C - This manual gives you more insight into the Coast Guard Bridge Program. NS-BP07 – ON-LINE BRIDGE REPORTING SYSTEM. 1) Bridge Detail Screen – Used to view information about the bridge only. There is no update capability available from this screen. It does show the complete history of the activity performed on the bridge. 2) Bridge Discrepancy Report Screen – Use this screen to report discrepancies observed on a bridge. This is the only screen where discrepancies may be reported. It is important to review any discrepancies already existing on a bridge’s record to avoid submitting duplicate reports. You can submit a new discrepancy report even though another discrepancy exists in the bridge’s record. Each reported discrepancy report will create in a new row on the Resolution Report. Each bridge with an unresolved discrepancy is highlighted in light red on the bridge listings. 3) Bridge Annual Survey Report Screen – Use this screen to report the completion of an annual bridge survey. If you observe a discrepancy while performing an annual survey, only submit a Bridge Discrepancy Report. It is not necessary to submit two reports. 4) Bridge Characteristic Modification Screen – Use this screen to report any recommendations for changing the specification of a bridge. Always, include supporting evidence for the change in the comments section. The process of changing the data about a bridge is a separate task from reporting a discrepancy, or the resolution of a discrepancy. Each modification request is reviewed by the DSO-NS 013, and upon acceptance, will be updated to the bridge’s record. 5) Resolution of a Discrepancy Report Screen - This option only appears when a previous discrepancy is recorded on a bridge’s record. Use this screen to report resolution(s) of any previously reported bridge discrepancies. You can submit a new discrepancy report even if there's an existing discrepancy. Each one discrepancy report will create a new row on the Resolution Report, and you can indicate which discrepancy or discrepancies that you have observed as resolved. Be careful not to duplicate discrepancies already existing in the bridge’s record. If this Bridge Program interests you, talk to your NS Staff Officers. Each OPFAC coxswain is encouraged to check each navigable bridge that they pass while underway. You can start contributing quality on-line Bridge Survey and discrepancy reports to the Coast Guard in the time that it takes that it takes you to become AV qualified. Surveying bridges is a year-round Navigation Systems program. And, you don’t always need a boat to participate in this program. Every Auxiliarist is encouraged to join their local Navigation Systems Teams. Your skill, local knowledge, and your desire to make a contribution to a worthy endeavor are needed.